Researchers interested in studying post-World War II architecture in Southern California will be excited to learn that a new archive is now fully catalogued and available for study: the Ray Kappe papers. 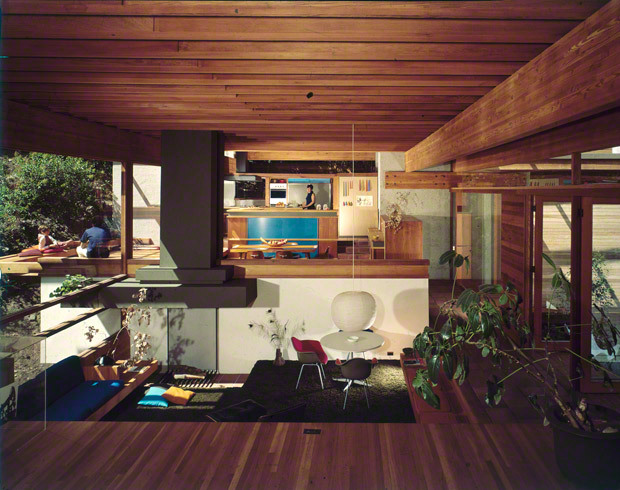 The collection, part of the Getty Research Institute’s significant holdings on midcentury architectural design, was processed with a grant from the Council on Library and Information Resources. A finding aid describing and listing the archive’s contents can be accessed here. Although the name Ray Kappe may be less familiar than those of other celebrated architects who have worked in and around Los Angeles during the 20th century, Kappe has left a significant mark on the city as a designer of modern residences, many of which are beautifully situated in the region’s scenic canyons, hillsides, and valleys. 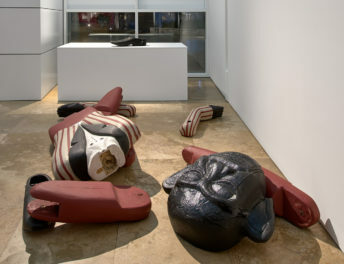 Born in Minneapolis in 1927 and educated at the University of California, Berkeley, Kappe began his career in L.A. in the early 1950s, a time of widespread suburban development and residential building. Like many architects of his generation, including those associated with the experimental Case Study House program sponsored by John Entenza’s Arts and Architecture magazine, Kappe took a keen interest in affordable housing, modern design, and prefabrication. 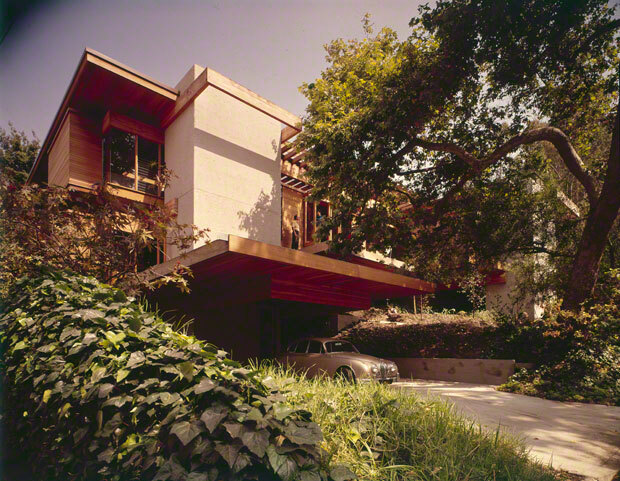 He embraced the natural modernism of predecessors in Southern California, such as Frank Lloyd Wright, R.M. Schindler, Richard Neutra, and Harwell Hamilton Harris, and he also had a strong desire to construct energy-efficient buildings, making him an early exemplar and proponent of what has come to be known as green architecture. During his almost six-decade-long career, Kappe has designed over 200 structures, working both independently and collaboratively, including as a partner in the firms of Kahn Kappe Lotery Architects Planners and Kahn Kappe Lotery Boccato Architects Planners. Most of these projects, ranging from houses and apartments to commercial and civic buildings, are documented in the archive with drawings, photographs, and written records from the architect’s office, including client correspondence. 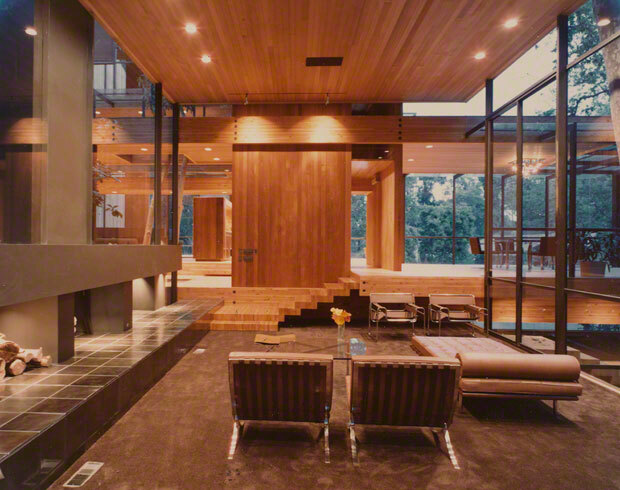 Represented in the archive, for instance, is the house Kappe designed for his own family in Pacific Palisades in 1965–67, which exhibits the designer’s remarkable talent for harmonizing architecture with its natural setting, utilizing structural solutions for difficult sites, and maximizing spatial opportunities and glass usage. In 1996, this building was named a Cultural Heritage Landmark of the City of Los Angeles, and in 1997 it received the American Institute of Architects/California Council Twenty-Five Year Award. As we catalogued the archive, we were particularly interested to find that Kappe’s commitment to creating pleasant and sustainable living environments extended to an enduring involvement with urban issues. 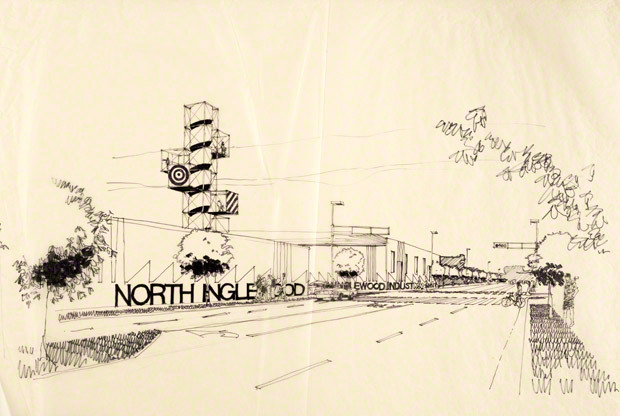 Although principally known as a residential designer, Kappe and his architectural associates dedicated themselves to a number of urban renewal projects, including an extensive plan for the City of Inglewood in the 1970s. The collection also includes detailed proposals, correspondence, and newspaper documentation of Kappe’s involvement in urban planning and environmental initiatives throughout Los Angeles. In addition to his work as an architect and planner, Kappe has enjoyed a long career as an educator, beginning in 1968, when he became Founding Chairman of Architecture at Cal Poly Pomona. In 1972 he founded the avant-garde Southern California Institute of Architecture SCI-ARC, initially known as the New School, as a haven for experimental learning and practice. In addition to offering exploratory design courses, SCI-ARC also presents students with the chance to pursue studies in the social and behavioral aspects of architecture. SCI-ARC is one of the most renowned architecture schools in the country, playing a critical role in making Southern California a center for architectural education. The archive is rich in materials from Kappe’s time at SCI-ARC, ranging from administrative documents to coursework. 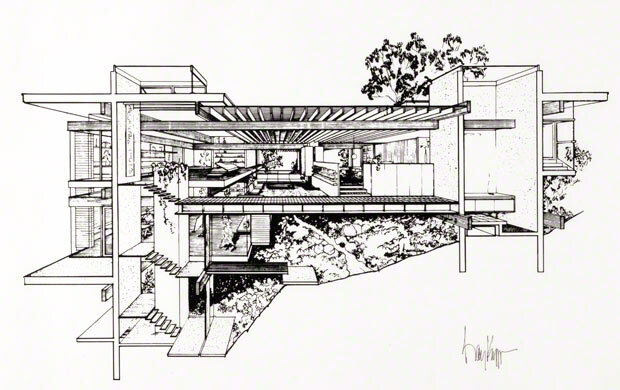 The Ray Kappe archive is a significant addition to the GRI’s growing collection of papers and drawings relating to postwar architecture in Southern California, including the Julius Shulman photography archive and Pierre Koenig papers and drawings. 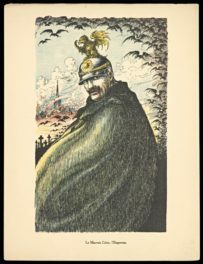 The lively parallels that can be drawn among the collections will lead to critical new scholarship in the field. Laura Dominguez I've been a library assistant in special collections cataloging at the Getty Research Institute since March 2011, processing the papers and drawings of architects Ray Kappe and William Krisel. I have a B.A. in architectural history from Columbia University, and I am currently a second year student in the Master of Historic Preservation program at the University of Southern California. My research interests include the California Arts and Crafts movement, midcentury modernism and culture in Los Angeles, and more recent developments of cultural heritage and preservation movements in ethnic enclaves. Suzanne Noruschat I’m a library assistant in special collections cataloging at the Getty Research Institute. I’m responsible for processing and cataloging two collections of architecture records, the papers and drawings of Los Angeles architects Ray Kappe and William Krisel. I recently completed a master’s degree in Library and Information Science at the University of California, Los Angeles, with a specialization in archival studies. I also hold a Ph.D. in architectural history from Emory University and have taught art and architectural history for almost a decade. Ray Kappe had an amazing imagination. All those projects could easily fit in 21st century. It could ‘easily fit in the 21st century’ because nothing new or interesting has happened in architecture for the last 80 years since it was highjacked by the insipidness and Marxist rubber-stamp thinking of Corbie, Gropius, and all the me-too’s ever since. Read Tom Wolfe’s _From_Our_House_to_Bauhaus_. These projects could easily destroy 95% of the so called contemporary designs. It`s hard to understand how today`s society can be so easily manipulated by a green piece of paper . a former sci arch’s student from Malaysia 1990.